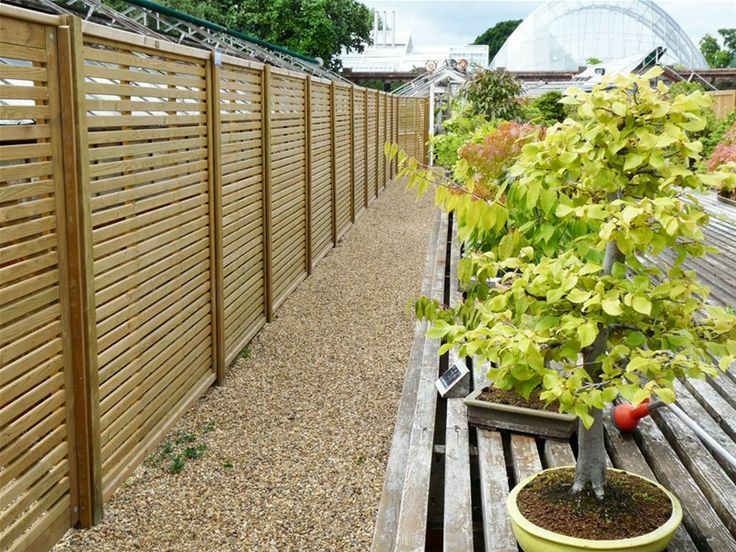 One of the most modern and contemporary styles of fencing offered by Greenfellas is Lateral Trellis or Slated Screen service. If a house owner wants to give their garden a new contemporary look, this is the way to go. These can be not only be used as boundary fences in the traditional sense but can also be availed in a decorative manner. It can also be used as a partition to sheds and dustbins from view. These screens usually have a vintage but modern look. Moreover, they look great when paired with brick walls. These screens are not only allows light to pass through it, but also helps to maintain a certain level of privacy. These screens are not usually ready-made, but are constructed at the site itself. Also, all the components are separately added. This ensures that the fences will be customized according to the owner’s demands. One can easily dictate the type of look they want on the spot and have it done so that there are no discrepancies later. For a private garden, privacy is one of the top priorities, along with natural lighting. These can be easily controlled by making the gaps between each plank bigger or smaller. The planks are basically constructed using hardwood. The best type available is the western red cedar timber. These are quite hardy and will last for a long time. Moreover, this material is known to change color and texture with time. Though most clients prefer these woods to weather in the natural process, some still prefer to enhance the by using satin and oil.